SOCO Gallery is pleased to present Sentimental Spring, an exhibition of new paintings by Guy Yanai. The gallery will host a public opening reception with the artist on Wednesday, May 15 from 6 – 8PM. This is the artist’s first solo exhibition with SOCO Gallery. SOCO Shop welcomes Ken Van Sickle for a book signing of 'Photography 1954-2009', the artist’s newly released monograph by Damiani. SOCO Shop presents Forms & Fragments, new jewelry designs from Needles & Pins on Thursday, April 4, 6–8PM. 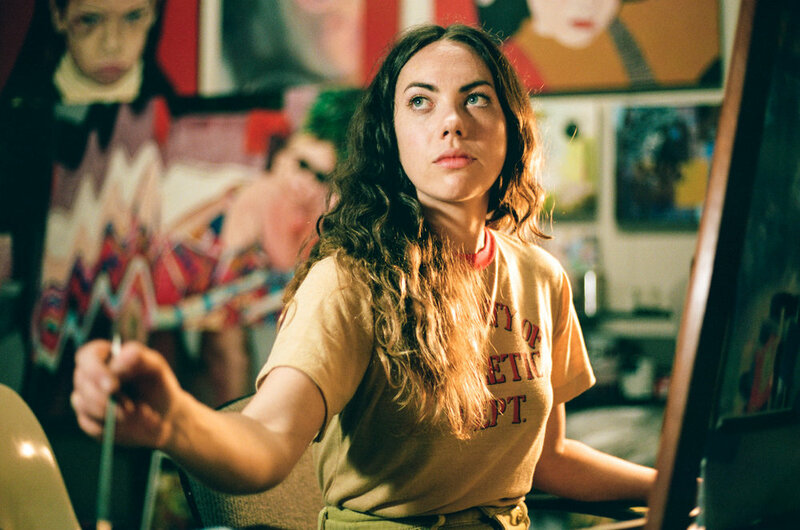 SOCO Gallery is pleased to announce an exhibition walkthrough of At Rest with Atlanta-based artist Holly Coulis on Thursday, March 28th at 11AM. SOCO Gallery is pleased to present an exhibition of new works by Georgia-based painter Holly Coulis. The gallery will host a public opening reception with the artist on Wednesday, March 27 from 6 – 8PM and an exhibition walkthrough with the artist on Thursday, March 28 at 11AM. This is the artist’s first solo exhibition with SOCO Gallery. SOCO Gallery is pleased to present Virago, an exhibition of new works by New York-based multi-disciplinary artist Jen Ray. The gallery will host a public opening reception with the artist on Wednesday, February 20 from 6 – 8PM, and an exhibition walkthrough with the artist on Thursday, February 21 at 11AM. This is the artist’s first solo exhibition with SOCO Gallery. SOCO Gallery welcomes Raleigh-based artist Tim Lytvinenko and Raleigh Denim founder Victor Lytinvenko for coffee and conversation on Saturday, January 26 at 11AM. SOCO Gallery is pleased to host an exhibition walkthrough with New York-based artist Austin Eddy on Thursday, January 10 at 11AM. The exhibition, Tur Til Turtle Island, will be the artist’s first solo exhibition with the gallery. SOCO Gallery is pleased to present Tur Til Turtle Island, an exhibition of new paintings and works on paper by New York based artist Austin Eddy. The gallery will host a public opening reception with the artist on Wednesday, January 9 from 6 – 8PM, and an artist talk on Thursday, January 10 at 11AM. This will be the artist’s first solo exhibition with SOCO Gallery. Hear from renowned artist Robert Lazzarini, whose show the flowering is on view in Mint Museum Uptown’s Level 5 Expansion Space from November 16 through December 30, 2018. His show includes paintings and sculptures incorporating imagery relating to the late actress Sharon Tate. Robert Lazzarini opens the flowering showcasing paintings and sculptures inspired by the late actress Sharon Tate at the Mint Museum Uptown’s Level 5 Expansion Space. The exhibition will open Friday, November 16 and will run through December 30, 2018. 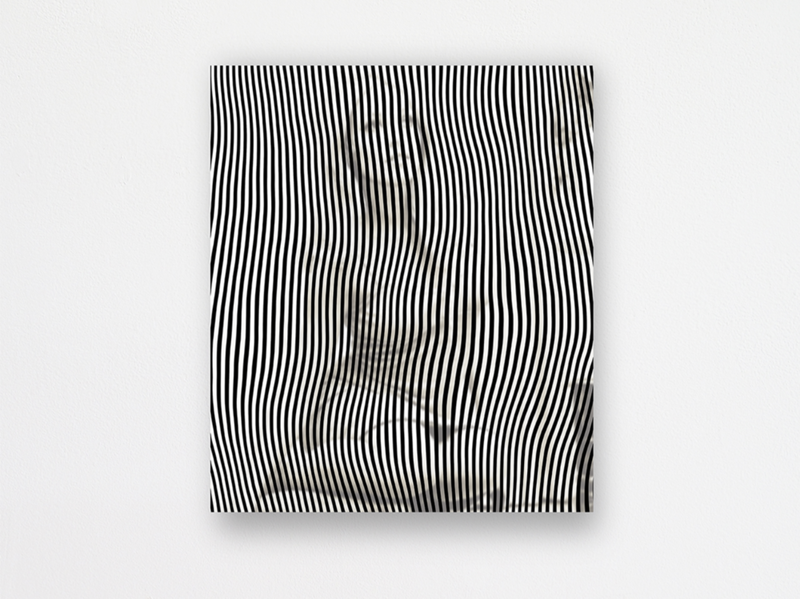 SOCO Gallery is thrilled to present wound, an exhibition of new works by Robert Lazzarini. The gallery will host a public opening reception with the artist on November 14th from 6 – 8PM. This will be the artist’s second solo exhibition with SOCO Gallery. 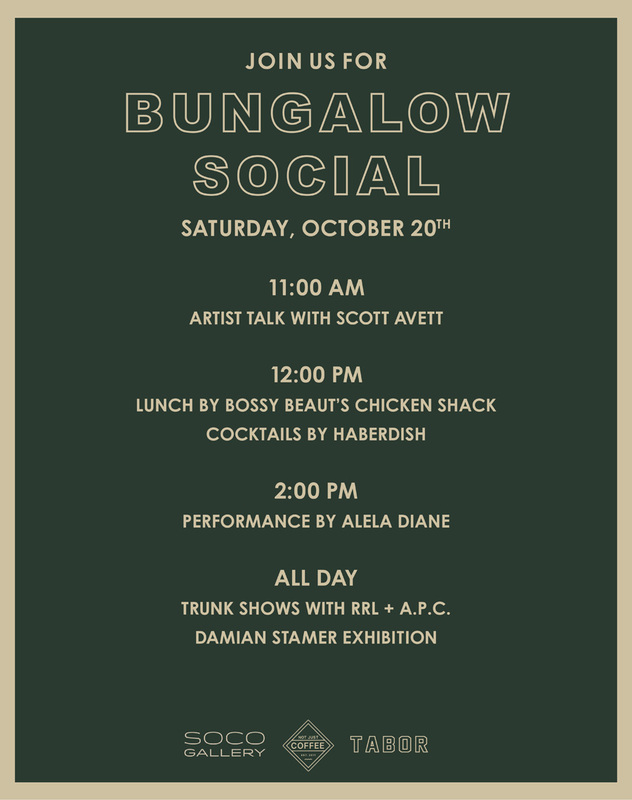 Save the date for the second annual Bungalow Social at 421 Providence. SOCO Shop is thrilled to host photographer Karine Laval for a conversation and book signing for her newly released catalogue Poolscapes on Saturday, September 29, 2018. The conversation will begin at 11AM with a book signing to follow. 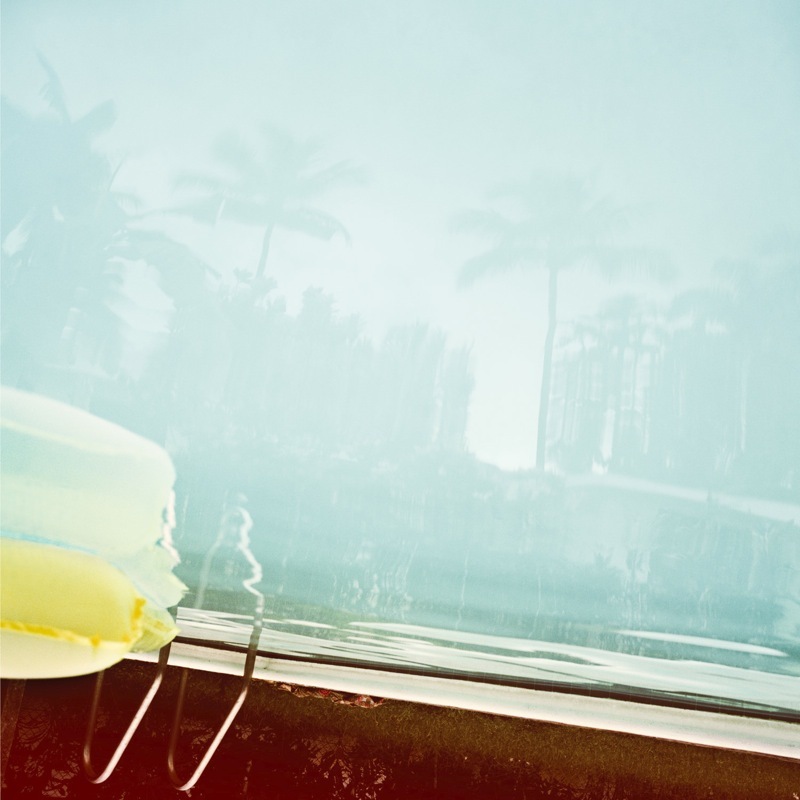 The book brings together two connected bodies of work—“The Pool” and “Poolscapes” —focused on the motif of the swimming pool and realized over the course of ten years. Photographs from these two bodies of work use form, color, and texture to depict a world on the edge of the real and the surreal, all set within a familiar narrative. SOCO Gallery is thrilled to present Interiors, an exhibition of new works by Damian Stamer. The gallery will host a public opening reception with the artist on September 19 from 6 – 8PM. This will be the artist’s second solo exhibition with SOCO Gallery. SOCO Gallery is thrilled to present Long Silence, an exhibition of new works by Juan Logan. The gallery will host a public opening reception on Wednesday, August 1 from 6 – 8PM. This will be the artist’s first solo exhibition with SOCO Gallery. Goodyear Artist-in-Residence Holly Keogh and Bechtler Museum of Modern Art curator Jen Edwards will hold an artist conversation on Saturday, May 12th beginning at 12PM to discuss Keogh’s practice of using discarded family photographs as a starting point for large-format, abstract oil paintings. Keogh reveals the ambiguity of photography by allowing the viewer to imbue the painting with their own alternative narrative. Work by the artist will be on display at SOCO Gallery for the event. The Meet The Artist series serves as an intimate opportunity to meet artists and discover more about their practice. SOCO Shop is pleased to announce a second pop-up event with local artist Blaine Hurdle of Needles & Pins and Erin Reitz of The Shelter Collection on Saturday, April 28th. 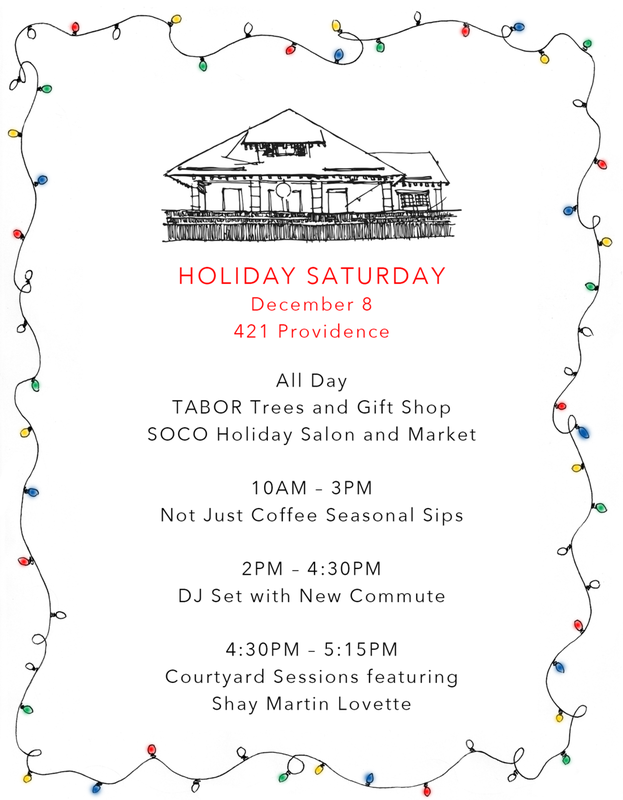 Hand crafted items from both artists will be available in the shop from 12–5PM. Please email inquiries to bookshop@soco-gallery.com. Schumacher creative director Dara Caponigro and photographer Melanie Acevedo dive into the private worlds and gorgeous homes of creative trailblazers in art, design, and fashion around the world in the newly released catalogue The Authentics. SOCO Shop will host a Q&A and book signing with Caponigro on Thursday, March 1st from 11:30am to 1:30pm. SOCO Shop will host a book signing of newly released Private Room by photographer Pamela Hanson on Wednesday, February 14th from 5:30 – 7:30PM. Private Room features a series of intimate photographs of eight different women in a celebration of female beauty and confidence. Hanson's photography is regularly featured in Vogue, Porter, and Vanity Fair, among others. The artist lives and works in New York City. To reserve a copy of the book, please email bookshop@soco-gallery.com. SOCO Gallery is thrilled to welcome McColl Center alumna Anne Lemanski for an exhibition presenting a new series of large format prints and sculptures. A joint opening reception will be held with artist Brad Thomas on Wednesday, January 24, from 6 – 8pm. In his upcoming exhibition, hold these truths, Minnesota-based artist Brad Thomas will present a selection of his artist books alongside a new body of mixed media work. Thomas’ artist books, which have been described as “tapestries of the subconscious”, are a defining part of his practice and include over 7,300 entries. A joint opening reception will be held with artist Anne Lemanski on Wednesday, January 24, from 6 – 8pm. SOCO Gallery’s upcoming collaboration with the Bechtler Museum of Modern Art, the Mint Museum, the Light Factory, the McColl Center, LaCa Projects, and Bank of America presents "In Focus/Enfoque” through Spring 2018. This Charlotte-wide initiative will bring contemporary Mexican photography to the city's partnering institutions. Opening on December 13th, SOCO Gallery will be featuring work by the renowned photographer Alejandro Cartagena from his “Carpoolers” and “Mexicana Suburbia” series. The reception for Alejandro Cartagena: Home will be held at the gallery from 6 – 8PM. SOCO Gallery is thrilled to return to Miami for the Untitled Art Fair from December 6 - 10, 2017. Untitled, Art is an international, curated art fair founded in 2012 that focuses on curatorial balance and integrity across all disciplines of contemporary art. Untitled, Miami Beach will take place on the beach at Ocean Drive and 12th Street, December 6 - 10, 2017. SOCO Shop will host a book signing with French photographer Anouk Krantz for her upcoming release of 'Wild Horses of Cumberland Island' on Saturday, November 11, 11AM – 1PM. SOCO Gallery is pleased to present In Luminous Flux, an upcoming exhibition by New York-based artist Jackie Gendel. The opening reception will begin at 6PM on November 1, 2017. The exhibition will run from November 1 through December 8, 2017.